Cardamomo > Blog > Dinner Show at Cardamomo with well-known chef Alberto Azpillaga. Nowadays at Cardamomo we have the honor to count on Chef Alberto Azpillaga who delights us with the great cuisine before the show. 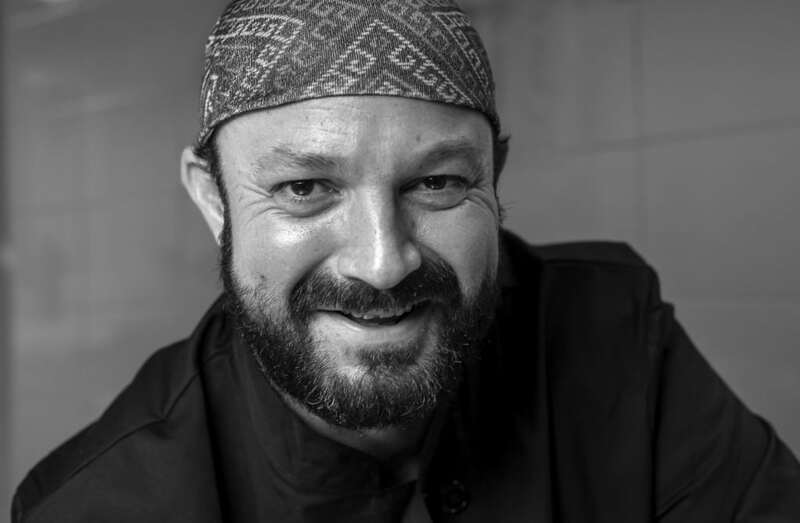 Chef Alberto Azpillaga discovered his true vocation amongst the stoves and flames after studying economics and industrial design. He started his professional journey learning side-by-side Alberto Chicote (distinguished chef and famous Spanish TV host). After an excellent career designing food for many different restaurants in Spain´s capital city, (including hotels such as NH and Zenit) and named executive chef for the prestigious Boggo Group, Alberto Azpillaga opened his own restaurant on the beautiful coast of Cadiz in the south: La Nueva Tajea Restaurant. His dishes have been savored and praised by people who are considered to be prestigious in many different spheres. Singer Lenny Kravitz was able to escape the chase of a crowd of fans and hide in Alberto´s kitchen where they had a great time cooking together for 3 hours until it was safe again for Kravitz to go back outside. Lenny then spoke openly about Alberto´s tasty recipes. Now he stands at Cardamomo to emphasize the authentic flavor of Traditional Spanish Cuisine with that spark of creativity he is known for. “.. we made a great discovery as well. They now have a chef (Alberto Azpillaga) I had lost track of and who, I think, is amazing (we discovered him in the town of Conil in the south of Spain) and whenever we were in the area we would stop by to visit him and try his new culinary creations (what a great choice on the venues part) So in addition to a wonderful evening of flamenco we had the opportunity to take delight again in one of our favorite chefs. Make sure you don´t miss out on that. Enjoy”.